Where else can you find a museum dedicated to Kool-Aid? The answer is only in Nebraska. Nebraska is home to an abundance of educational and entertaining museums, ranging from smaller roadside stops to museums of national importance. And no matter how big or small the museums may be, once you step inside, you’ll quickly be transported to another world. Here are the 10 best museums you must visit while living in or traveling to Nebraska. Located in the stunning art deco Union Station in Omaha, Nebraska, the Durham Museum exhibits some of the best artifacts related to the history and development of the nation’s western regions. With an extraordinary collection of restored train cards, 1940s store fronts, and numerous artifacts displaying the history of this region of the country, this is a must-visit if you’re in the area. Afterward, be sure to check out the authentic soda fountain and enjoy a tasty malt. The Omaha Children’s Museum is one of the most visited museums in Nebraska and one of the best places for whole families to spend the day learning through play. With a focus on the arts and sciences, exhibits include a technology lab, maker-space, and much more. Need a few more reasons to visit this interactive museum? The Omaha Children’s Museum has received a national award from the Association of Science and Technology Museums and its science lab has been featured on the PBS Kids website. Designed by the Walt Disney team, the Great Platte River Road Archway Monument is a site to see when you’re crossing the state of Nebraska along Interstate 80 near Kearney. Spanning 310 feet over the highway and weighing nearly 1,500 tons, the Archway presents 170 years of America’s westward movement through its educational displays and stories of the early pioneers. Create an unforgettable memory at this amazing highway museum! Housed in a beautiful art deco building that was built in 1931, the Joslyn Art Museum is one of the most popular museums in Nebraska. Make a trip to see top-notch works from ancient times to the present, with an emphasis on 19th and 20th century European and American art. The outdoor garden galleries at the Joslyn Art Museum are also a favorite for visitors. 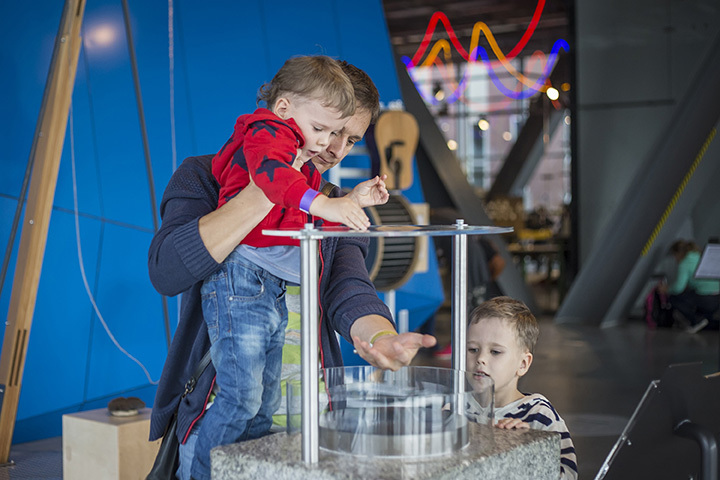 The museum rotates numerous events, classes, concerts, and lectures, so no matter when you visit, there’s bound to be something that everyone can enjoy. Definitely one of the most unique museums you’ll find in Nebraska, the Museum of the Fur Trade in Chadron is dedicated to preserving the rich history of the North American fur trade. From the Arctic and the American Southwest, to early colonial days and the 20th century, the exhibits cover everything you could want to know about fur trading and those who traded these goods. Home to the largest collection of Cold War aircraft and artifacts in the United States, the Strategic Air Command and Aerospace Museum is a Smithsonian affiliate and one of the most exciting museums in Nebraska. Take a trip to this museum in Ashland and get up close to some of the most iconic aircraft ever created, including the incredibly SR-71 Blackbird, a B-36J bomber, and the Apollo Command Space module. Complete with a collection of artifacts from Nebraskan astronaut Clayton Anderson, this is one museum you don’t want to miss. With three floors and 23,300 square-feet of hands-on exhibits, the Children’s Museum in Lincoln, Nebraska is the ultimate place for children and adults to learn together through play. Children can dance, climb, build, and create anything their imaginations want to do. When you think of the nation’s best car museums, you may think of locations such as Detroit or Los Angeles. However, this award-winning museum located in Lincoln, Nebraska is at the top of the list thanks to its dedication to the American automotive history. It was founded by Speedway Motors “Speedy” Bill Smith and his wife Joyce Smith as a home to store their collection of automobiles they accumulated over 60 years. The collection includes racing vehicles from go-karts to vintage Indy Cars, and more. Did you know that Hastings in home to the legendary Kool-Aid? Oh, yea! This wonderfully-delicious drink was the brainchild of Hastings, Nebraska native Edwin Perkins. He invented Kool-Aid in 1927 and wild success followed. Take a trip to the Hastings Museum’s Kool-Aid: Discover the Dream exhibit and explore the life of the drink’s creator and learn how Kool-Aid became the iconic drink it is today. The coolest part of the museum? A fiber optic "river" of Kool-Aid flowing right below your feet. Also known as Elephant Hall, The University of Nebraska State Museum is a natural history museum located on the University of Nebraska-Lincoln campus and boasts a number of educational exhibits. Visitors can check out the world’s largest articulated fossil mammoth along with a rare collection of fossil elephants. Learn about some of the most bizarre fossils discovered in Nebraska, as well as meteorites and monsters of the ancient seas. The Mueller Planetarium and Marx Science Discovery Center make this one of the top must-dos when you visit Lincoln, Nebraska.